2018-11-29 NEW • Distribution Release: Calculate Linux 18 "LXQt"
Rate this project Alexander Tratsevskiy has announced the release of Calculate Linux 18 "LXQt" edition, a new variant of the project's Gentoo-based set of distributions with LXQt as the default desktop: "We are happy to announce the release of a new Calculate Linux Desktop flavour, featuring the LXQt desktop and therefore named CLDL. CLDL is the fifth little one in the Calculate Linux Desktop family, providing a fully-fledged workplace for both office and home. This new distribution perfectly combines the advantages of Qt 5, which is indeed the base for its interface, with the low system requirements of the Openbox window manager. CLDL is localized out-of-box in all standard European languages. CLDL offers the same sleek design as other Calculate Linux desktops, which means that you will immediately feel familiar with it. Note that in Firefox, an ad blocker is turned on by default while telemetry is disabled. CLDL implements single user authentication for Calculate Directory Server, roaming user profiles and sharing access privileges to network devices with Windows clients. Calculate Linux Desktop LXQt comes with LXQt 0.13, PCManFM-Qt 0.13 for file management, Firefox 63.0.3 as the Internet browser...." Read the rest of the release announcement for more information and screenshots. Download: cld-18-x86_64.iso (2,168MB, MD5, torrent). Also available from OSDisc. • 2018-11-29: Distribution Release: Calculate Linux 18 "LXQt"
Alexander Tratsevskiy has announced the release of Calculate Linux 18.12, an updated build of the project's Gentoo-based distribution for desktops and servers. This release updates the Linux kernel to version 4.19.9 and it also brings a new "Education" edition: "Calculate Linux 18.12 released. We have a bunch of news for this final 2018 release. We have added support for installation on Btrfs with zstd compression. All server editions have been optimized for size. Software can now be transferred when re-installing the system. Our ISO images are packed in the zstd format to speed up the start-up times for the live image, applications and system installation. Software: 32-bit and 64-bit builds moved to Linux kernel 4.19.9, KDE Applications updated to 18.08.3, KDE Plasma updated to 5.14.3, Cinnamon updated to 4.0.3. We also released a new Calculate flavour for educational purposes (Calculate Linux Desktop Xfce Education, or CLDXE for short)." Read the rest of the release announcement for more details. Download (MD5, pkglist): cld-18.12-x86_64.iso (KDE Plasma, 2,516MB, torrent), cldc-18.12-x86_64.iso (Cinnamon, 2,235MB, torrent), cldl-18.12-x86_64.iso (LXQt, 2,180MB, torrent), cldm-18.12-x86_64.iso (MATE, 2,297MB, torrent), cldx-18.12-x86_64.iso (Xfce, 2,140MB, torrent), cldxe-18.12-x86_64.iso (Xfce Education, 2,427MB, torrent). Alexander Tratsevskiy has announced the release of Calculate Linux 18, a major update of the project's Gentoo-based, rolling-release distribution set available for both x86_64 and i686 systems, in several desktop variants. This release features the very latest 4.18 Linux kernel and the much improved Calculate utilities and installation tool which have all been ported to Qt 5. From the release announcement: "We are happy to announce the release of Calculate Linux 18. In this latest version, Calculate Utilities have been ported to Qt 5, your network is managed in a different way, and binary packages get checked using their index signature. Changes: the graphical installation interface has been ported to Qt 5; the command line installation interface now features auto partition detection based on passed options; it is possible to select a keyboard layout; it is possible to use only one (root) position; easier installation on VPS/VDS; live USB image boots up faster; NVIDIA driver installation log is sent to tty12 at live USB boot-up time; Calculate provides 12,363 binary packages; our approach to network configuration changed - network parameters are not updated while installing network management tools...." Download links (MD5, pkglist): cld-18-x86_64.iso (KDE Plasma, 2,142MB, torrent), cldc-18-x86_64.iso (Cinnamon, 2,012MB, torrent), cldm-18-x86_64.iso (MATE, 2,071MB, torrent), cldx-18-x86_64.iso (Xfce, 1,929MB, torrent). Calculate Linux is a Gentoo-based rolling release distribution which is available in several desktop and server editions. The project's latest version, Calculate Linux 17.12.2, features fixes for the Spectre and Meltdown CPU bugs, restores functionality for LXC containers, permits renaming of network interfaces and makes it possible to use a file for swap space in place of a disk partition. "We are pleased to announce the release of Calculate Linux 17.12.2, based on Gentoo 17.0. Therefore, the whole of the packages were rebuilt and some fixes done. Eight flavors are now available for download: Calculate Linux Desktop supplied with the KDE (CLD), Cinnamon (CLDC), Mate (CLDM) or else Xfce (CLDX) environment, Calculate Directory Server (CDS), Calculate Linux Scratch (CLS), Calculate Scratch Server (CSS) an Calculate Container Scratch (CCS). We moved to the new Gentoo 17.0 profile. All binary packages were rebuilt, in the repo as well as on Live DVDs/USBs. All currently available Meltdown and Spectre patches were included." Additional information can be found in the project's release announcement. Download (MD5, pkglist): cld-17.12.2-x86_64.iso (2,124MB, torrent), cldc-17.12.2-x86_64.iso (1,929MB, torrent), cldm-17.12.2-x86_64.iso (1,970MB, torrent), cldx-17.12.2-x86_64.iso (1,841MB, torrent). Alexander Tratsevskiy has announced the release of Calculate Linux 17.12, a set of desktop and server distributions based on Gentoo Linux. This release is comes in four desktop flavours, with KDE Plasma 5.10.5, Cinnamon 3.4.6, MATE 1.18.0 and Xfce 4.12.3: "On the New Year's eve, meet Calculate Linux 17.12! This latest release features installation on software RAID and offers still better load and memory balance. Main changes: added SoftRaid support; fixed auto-partitioning problems; third-party overlays supported; the Calculate Utilities server does not run on the background, it is launched by D-Bus; the MuQSS patch was included to the kernel configuration for better application task scheduling; the UKSM patch was included in the kernel configuration for less memory load; PAE binary kernel supported for 32-bit systems; all server kernel settings optimized; GCC updated to 6.4 and the kernel updated to v 4.14...." Read the full release announcement for further details and upgrade instructions. Download (MD5, pkglist): cld-17.12-x86_64.iso (KDE Plasma, 2,005MB, torrent), cldc-17.12-x86_64.iso (Cinnamon, 1,796MB, torrent), cldm-17.12-x86_64.iso (MATE, 1,840MB, torrent), cldx-17.12-x86_64.iso (Xfce, 1,735MB, torrent). Alexander Tratsevskiy has announced the release of an updated build of Calculate Linux, a set of desktop and server distributions based on Gentoo Linux, free of systemd. 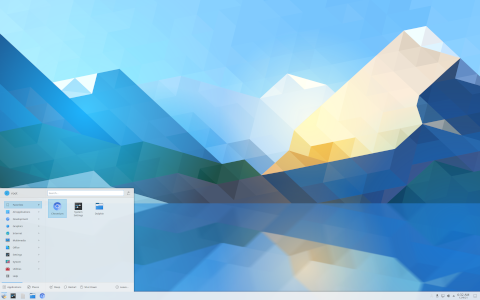 This version is provided in four desktop variants, featuring KDE Plasma 5.9.5, Cinnamon 3.4.2, MATE 1.18.0 and Xfce 4.12.3. "We are happy to announce the release of Calculate Linux 17.6, marking the 10th anniversary of the project. This new version features installation in LXC/LXD containers, theme customization, more stability with automatic dependency support, better security as editing the kernel parameters now requires a password and system update can be only performed by users authorized to do so. Main changes: Calculate gets a new flavour, 'Calculate Linux Container', to be installed on a LXC/LXD virtual machine; no default password is provided on a newly installed system - instead, a user password is prompted for at installation time; you can manage access privileges via Calculate Console; the 'sudo' group was added for sudo authentication...." Read the full release announcement for further details and upgrade instructions. Download (MD5, pkglist): cld-17.6-x86_64.iso (KDE Plasma, 2,008MB, torrent), cldc-17.6-x86_64.iso (Cinnamon, 1,769MB, torrent), cldm-17.6-x86_64.iso (MATE, 1,807MB, torrent), cldx-17.6-x86_64.iso (Xfce, 1,706MB, torrent). Alexander Tratsevskiy has announced the release of Calculate Linux 17, a major update of the project's Gentoo-based set of distributions designed for desktops (with a choice of KDE Plasma, MATE or Xfce) as well as servers: "We are happy to announce the release of Calculate Linux 17. Main changes: Timeless, a new server flavour, designed for those eager to try the development version of Calculate Utilities; GUI manager - updated appearance, including new own icons; command-line manager - one session for cl-console and cl-console-gui, so that you can switch between them freely; live USB - system startup possible without PulseAudio; numerous revisions in templates - new functions added, support provided for 'or' expressions, service launching, package linking, package version downgrade, ldif format; beta versions of the brand new Calculate Linux Desktop Cinnamon and Calculate Linux Desktop LXQt available in 'nightly' stages; up to 5000 binary packages are available in the Calculate repository...." See the release announcement for more information, upgrade instructions and screenshots. Download (MD5, pkglist): cld-17-x86_64.iso (KDE Plasma, 2,132MB, torrent), cldm-17-x86_64.iso (MATE, 1,735MB, torrent), cldx-17-x86_64.iso (Xfce, 1,646MB, torrent). The Calculate Linux project has announced a new version of their Gentoo-based distribution. The new release, Calculate Linux 15.17, features the KDE Plasma 5 desktop, faster compression via XZ and the default Python version is 3.4. "We are happy to announce the release of Calculate Linux 15.17. Calculate Linux Desktop, featuring either the KDE (CLD), the MATE (CLDM) or the Xfce (CLDX) environment, Calculate Linux Scratch (CLS), Calculate Directory Server (CDS), Calculate Scratch Server (CSS), Calculate Media Center (CMC) are all available for download. 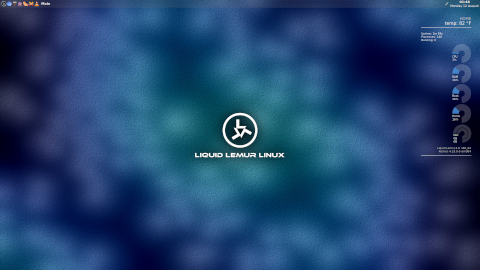 Main changes: Calculate Linux Desktop was updated to KDE 5. Testing and stable updates now coming separately and labelled as such. Multiple instances, built with different USE flags, are available in a special repository (binpkg-multi-instance). The main Git mirror migrated to Github. Faster XZ compression on multi-core processors. The XZ algorithm will be used from now on for initramfs, the kernel and its modules." Additional details and screen shots can be found in the project's release announcement. Download (MD5, pkglist): cld-15.17-x86_64.iso (2,606MB, torrent), cldm-15.17-x86_64.iso (1,870MB, torrent), cldx-15.17-x86_64.iso (1,796MB, torrent). The developers of Calculate Linux, a Gentoo-based desktop and server distribution, have announced the release of Calculate Linux 15.12. One of the main changes in this release is the replacement of the Chromium web browser with Qupzilla. "We are happy to announce the release of Calculate Linux 15.12. Calculate Linux Desktop, featuring either the KDE SC 4 (CLD), the MATE (CLDM) or the Xfce (CLDX) environment, Calculate Directory Server (CDS), Calculate Media Center (CMC), Calculate Linux Scratch (CLS) and CLSK with KDE SC 5, Calculate Scratch Server (CSS) are all available for download. Chromium was replaced with the QupZilla web browser on desktop CL versions. A Calculate Linux ISO image can be booted from a live hard drive volume. To do so, select the Live HDD formatting line that was added to the GRUB menu. The release announcement contains a full list of changes and updates. Calculate Linux offers users several desktop editions, including KDE, MATE and Xfce, as well as a directory server, media centre and "Scratch" editions. Download (pkglist): cld-15.12-x86_64.iso (2,392MB, MD5, torrent), cldm-15.12-x86_64.iso (1,965MB, MD5, torrent), cldx-15.12-x86_64.iso (1,900MB, MD5, torrent), cmc-15.12-x86_64.iso (1,343MB, MD5, torrent).